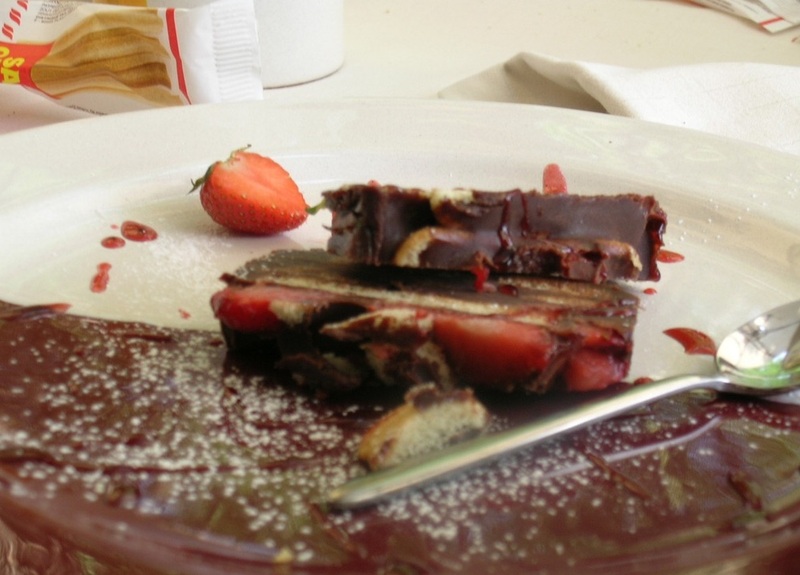 One of the first blogs that I started when I was living in Italy was called Chocolate Brick. It was so named after a dessert that friends of ours made in their restaurant in the historic centre of Tuscania in northern Lazio. It came and went from the menu but it was always a drawcard. Particularly since it featured chocolate and strawberries. One of my work colleagues commented before I went away on holiday over the Christmas period about the food that we were potentially going to eat and that we were probably going to eat well. This statement gave me the idea to write this post as I thought I could share some food memories. Let me start by commenting on something that I knew that I wanted to do at least once when we were in Italy over Christmas. When we lived in Italy we didn’t go to a bar every morning. There were periods when we went quite often and there were other periods when it wasn’t so often. But I did enjoy having a coffee and a cornetto (Italian version of croissant) once in a while. So one morning my husband and I headed to a bar for a cappuccino and a croissant and it didn’t disappoint. 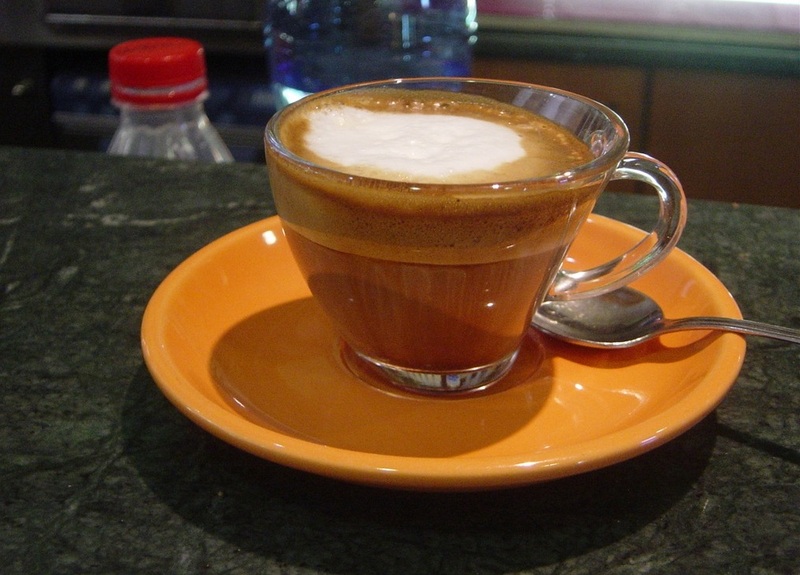 The cappuccino was creamy and not scalding hot and just utterly delicious. In fact I made sure I didn’t leave any of the light, milky foam behind, using my spoon to collect it all. The croissant was buttery and pretty tasty too. A perfect combination. On one of our first days in Italy last December, our teens made the comment in the late afternoon that they were a little bit hungry. Given that dinner tends to be around 8pm, we didn’t object to purchasing some slices of pizza for them. We bought pizza Margherita (tomato and cheese) as well as salami and gorgonzola (which my 17 year old son decided was pretty good). I didn’t indulge that evening, however on a separate occasion we went to one of the bakeries within Tuscania that I have always liked their bread, pizza and biscuits. This time, a slice of Margherita pizza was destined for consumption by me. However meals enjoyed at home can be equally special, even if they are simple dishes. Take for instance the example of my kids hoping that their grandfather would cook them a frittata at least once. Luckily he did and we all thoroughly enjoyed it. We also enjoyed reminiscing over a dish of tortellini in brodo.